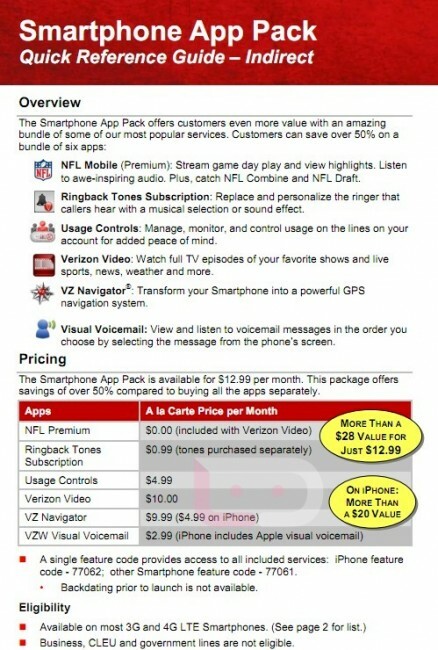 Verizon kicked off a new promotion this week to try and sucker tempt you into signing up for some of their monthly services like VZ Navigator and Visual Voicemail. If you aren’t interested in using the fantastic free services that Google offers like Maps and Voice or for some reason feel like paying for Big Red’s versions instead, then think about asking for this bundle. The entire package includes NFL Premium, Ringback Tones subscription, Usage Controls, Verizon Video, VZ Navigator and Visual Voicemail all for $12.99 per month – the same price you pay for just voicemail and navigator currently. Thursday Poll: Bigger Deal - Unlockable Bootloader or Current Version of Android?